The recent NIH Clinical Center’s 25th Annual Pediatric Remembrance Ceremony, filled with singing, poetry readings, speeches and presentations, was held to remember, honor and grieve the losses of those NIH pediatric patients who died over the past year from incurable diseases. Dr. Lori Wiener, co-director of the Behavioral Health Core and head of the Psychosocial Support and Research Program at the National Cancer Institute’s Center for Cancer Research’s Pediatric Oncology Branch, focused her keynote address on the importance of storytelling in learning about and addressing difficult topics. When she discovered a lack of stories about children dying from rare or incurable diseases geared toward children under 12, she set out to write one herself that could help families in the most trying times. Written with co-author Dr. Meaghann Weaver, a pediatric oncologist and former NCI fellow, Wiener shared “The Gift of Gerbert’s Feathers” during the ceremony, which tells the story of a brave but sick gosling and his family who come to terms with Gerbert’s death. The book will be available through Magination Press later this year. 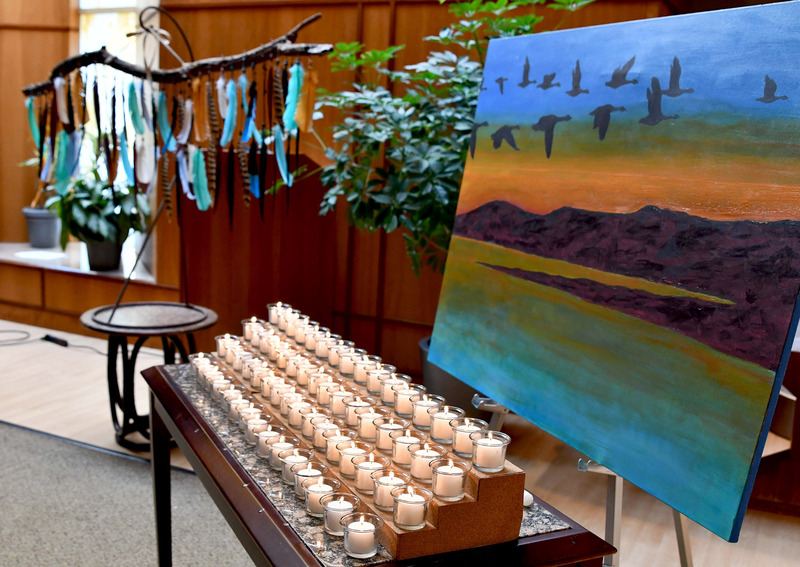 During the reading of the patients’ names, guests were asked to hang large, colored feathers in memory of the children on a branch and to light candles arranged beside a painting of migrating geese flying across the sky at sunset.